Without knowing much about Angel Gardner’s traumatic life, judges chose her to represent the city for the next year, citing the power of her verse. Until recently, Angel Gardner, 19, lived in a tent off Eastlake Avenue East with a half-dozen other homeless youths. 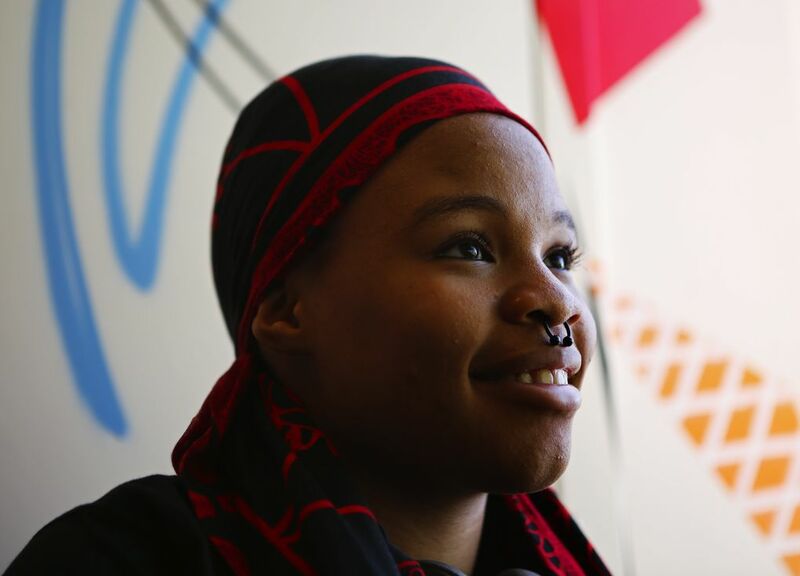 She never finished high school, but for the next year will represent Seattle as the city’s Youth Poet Laureate. Gardner’s lack of housing and education is common for young people who grow up in foster care in Washington, nearly 25 percent of whom end up homeless. Gardner, removed from her parents’ care at age 5, bounced through nearly 30 placements, she said, before aging out of the system at 18, and has been without a permanent place to live for the past two years. Only once since childhood has she known any home longer than six months. All the more astounding, then, that a panel of writers at Seattle Arts and Lectures, unaware of most of these details, selected her for the city’s poetry award, a yearlong appointment and part of a national campaign that includes a book deal with Penmanship Books in New York City. Last year’s winner, Leija Farr, joined best-selling novelists Jess Walter and Sherman Alexie on stage for a live podcast and has almost sold out her first book printing. 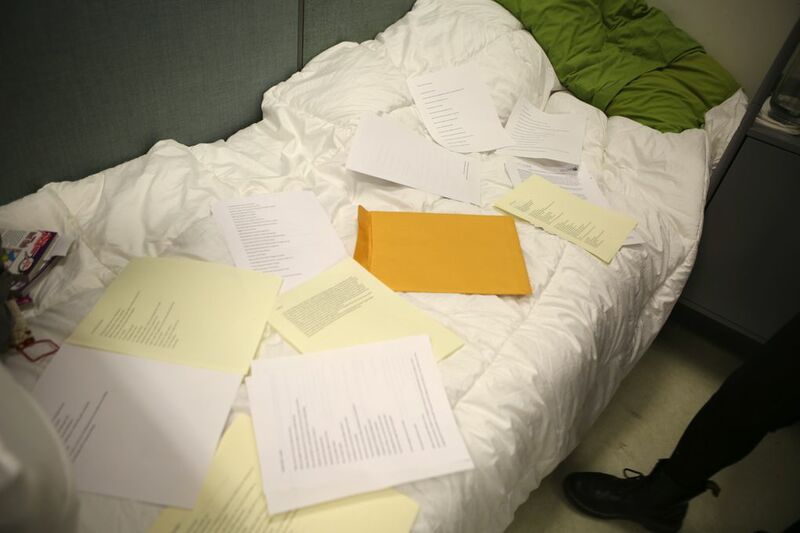 Gardner’s poems — explicit and raw on matters of race, homelessness and abuse — “feel urgent when you read them, in a way that seems important for folks to pay attention to,” said one of the judges, Aaron Counts. Born in Seattle’s Central District, Gardner was removed from her parents’ home after authorities said she was being abused, injuries she referred to publicly as a 12-year-old in a writing program operated by the youth group Friends of Children. She began sending poetry to the Pongo Teen Writing website soon afterward and has not stopped since. School, however, has been less consistent. Gardner, who taught herself to love books as a child by reading “The Secret Garden,” drifted through Cleveland High School, then Highline High, before dropping out of Auburn Mountainview High School at 17. Often, she writes while riding the bus, or on public computers, or wherever she can grab an hour of peace. That is perhaps the most difficult part of being homeless, Gardner says: the lack of a secure place to rest, to sleep, to ease past minute-by-minute survival and explore something larger. 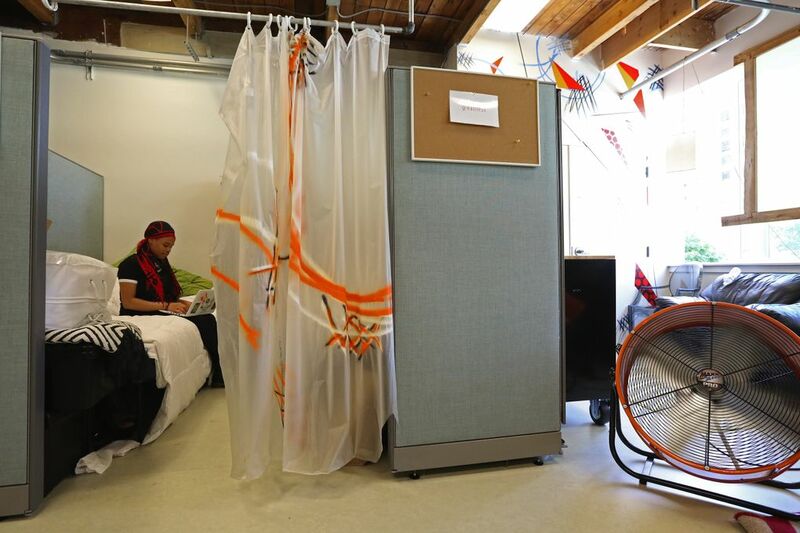 “Getting my stuff published is going to be amazing, just to have a hard copy,” said Gardner, who lives, currently, at the New Horizons transitional shelter, in a cubicle whose only privacy is a filmy shower curtain. Writing was pivotal to moving Gardner from a girl frozen in anger toward the young woman she is today — weeks away from renting her own apartment, with money she earns through two part-time jobs. “That girl does not give up,” said Robin Brownstein, a psychotherapist, who first encountered Gardner through a youth-writing group and has been among the only consistent adults in her life for the past seven years. Despite her toughness, Gardner was unprepared to be seen as a poet worthy of national attention. She had planned to read her work, live, as a finalist in the Poet Laureate competition, then return happily to her bed at New Horizons. Instead, Gardner heard her name called as the winner, and cried. Claudia Rowe: 206-464-2531or crowe@seattletimes.com. On Twitter @RoweReport.